The Regional Center for Strategic Studies (RCSS), Colombo launched the Summer Workshop Series in a bid to bring together young Indian, Pakistani and Chinese scholars in 1993. The Workshop was held regularly on an annual basis till 2006 when it was discontinued due to funding issues. 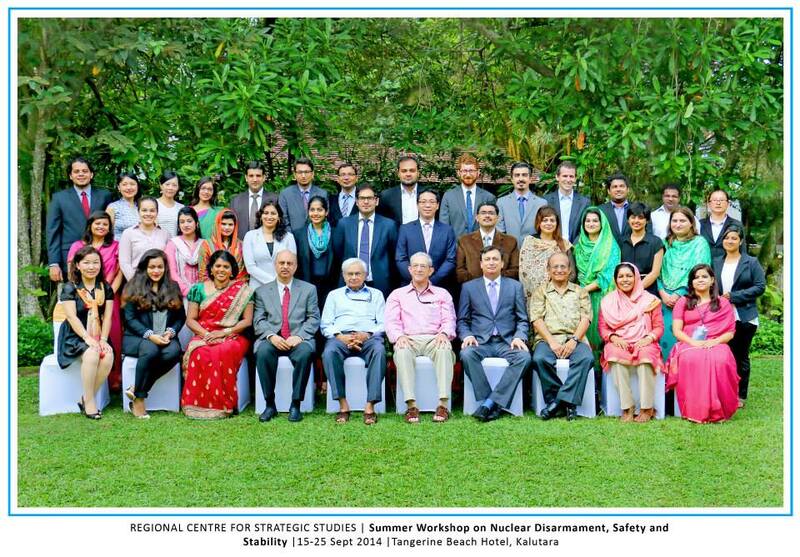 Recently, RCSS led by its Executive Director, Dr. Mallika Joseph was successful in garnering funds for organising the 13th Summer Workshop (September 15-25, 2014) at Kalutara, Sri Lanka (~40kms from Colombo). The theme of the Workshop was “Nuclear Disarmament, Safety and Stability.” I was fortunate to be selected to participate in the Workshop which brought together thirty odd young scholars from India, Pakistan, China and the US for an intensive ten-day fully residential workshop. The workshop is probably the only of its kind as it brings together young scholars from India, Pakistan and China for a decent length of time. The fact that the organisers house participants from different countries in a room on twin-sharing basis and provide opportunities for joint activities and presentations, leads to fostering of friendships and understanding of the others’ point of view. Given the intertwined histories and security challenges the region faces, one cannot but emphasise the importance of such endeavours and lament at the fact that occasions for such interactions – especially for young researchers – are too few and far between. Given the fact that Indian and Pakistani strategic communities are largely centred in their capital cities, most of the Indian and Pakistani participants hailed from either Delhi or Islamabad. It was also interesting to note that a majority of the Indian participants were either studying or alumni of the Jawaharlal Nehru University (JNU). On the Pakistani side, many participants had studied at the Monterey Institute for International Studies (MIIS). This led to one of the participants noting jocularly that there were two Mafias in operation at the Summer Workshop; the JNU Mafia and the MIIS Mafia.. In contrast, the small Chinese contingent of four scholars was distributed in geographical terms. The participants hailed from Fudan University and Chomgqing CPC Party School (Shanghai), Sichuan University (Sichuan) and Chinese Academy of Social Sciences (Beijing). One hopes that future editions of the Workshop witnesses larger Chinese participation. It would definitely add to the value of the Workshop and make the overall experience more interesting. However, one does understand that this would be a function of the applications received by the RCSS. Another step the RCSS could take is to spread the word of the future editions of the Summer Workshop wider (in a geographical sense) so as to attract applications from prospective participants beyond New Delhi and Islamabad. I feel that this would add to the participants’ gaining a more rounded understanding of the diversity of views in the two countries. The Summer Workshop was divided into four clusters by the organisers. The first set of lectures introduced the participants to the physics of nuclear reactors and nuclear weapons. This was followed up with analyses of the drivers of nuclear weapons pursuit and the nuclear doctrine and policies of India, Pakistan and China. This was followed by a second set of lectures which dealt with the security narrative in the context of nuclear weapons. This included lectures on the Theory of Limited War, Lectures on the Kargil and the 2001-02 Border Standoff, Nuclear Confidence Building Measures in South Asia, Nuclear Safety and Security in the region and the Limitations and Possibility of Nuclear Deterrence. These lectures were possibly the most interesting set of lectures which was attested by the fact that the discussions following these lectures were lengthy and animated. However, it is important to point out that the Chinese participants were quite silent during these discussions and were happy to sit back and observe the discussions between the Indian and Pakistani participants. The only time they would animatedly join the discussions was when anything remotely related to maritime issues or the South China Sea was mentioned either by the Workshop faculty or participants. Among the most important takeaways would definitely be the intensive exposure to such a wide range of ideas, readings and concepts in a brief period of time. 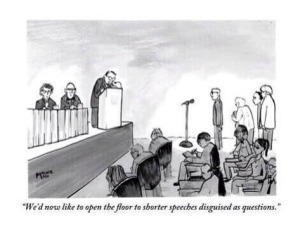 As a group I feel the participants learnt – from the faculty and each other – is the art of thinking through our questions and not launching into a shorter lecture disguised as a question. However, the Workshop did not boil down only to listening to lectures. It was much more interactive with all the participants being allocated specific sessions to make presentations on current affairs issues ranging from Chinese Nuclear Doctrine, Nuclear Learning, Islamic State and Syria, Afghanistan among others. The Indian and Pakistani High Commissioners to Sri Lanka were invited to give Dinner Talks and interact with the participants. On other days, there were post dinner film screenings and discussions. The participants got to see two films depicting the dangers involving nuclear weapons in the George Clooney starrer Fail Safe and one of the all time great movies on the issue, Dr. Strangelove: Or How I learned to Stop Worrying and Love the Bomb. The best is often saved for the end and this was true for the Summer Workshop as well. The final two days of the workshop involved a simulation game-exercise facilitated by a team from the US-Sandia National Laboratories. The computer based simulation exercise involved planning, negotiation and execution of managed access arms control inspections. Two sets of exercise were planned one each in the pre-dismantlement and post-dismantlement phases involving retirement of ballistic missile systems. The participants were divided into two groups representing two fictional countries and in turn donned the role of host and visitor. The software designed by the Sandia team provided a 360° panoramic view of the hypothetical facility thereby ensuring that the participants’ experience almost mirrored reality. As teams began planning, the managed access intra-group differences emerged with hardline elements in the national delegations opposing any attempts to accommodate proposals from the other party. Similarly, during the negotiation phase, while either party initially was reluctant to concede any quarters, it soon became apparent to all involved that there are no winners and losers in such an exercise. One of the most important personal takeaways was the importance of balancing the extent of verification so as to build confidence in the inspection team vis-à-vis the need to maintain the secrecy and security of one’s national security assets. With so much packed into ten days, the RCSS team in sum, planned to keep the participants engaged in the Conference Hall and as far away from the beach and the pool as possible; the participants on the other hand wanted to make the most of the splendid beach. However, the excellent quality of the lectures, the interesting discussions and participant-led sessions ensured that the interest of the participants in the proceedings never waned. Strategically timed coffee breaks ensured that any simmering revolution in the ranks was nipped in the bud with timely caffeine – or for some, nicotine – fix. Given the enormous visa, logistic and other challenges in putting together the Workshop, one cannot but amaze at the courage of team RCSS in stepping up to the task of bringing together a group of thirty-odd young researchers from across the globe. It wouldn’t have been an easy task, but I hope playing a formative role in fostering friendships and better understanding across borders makes all the effort worth its while.